... a few more Trex decks for you to see! Trex "Tropicals" Tiki Torch Decking w/ Trex Reveal railing. Deck Rail lighting. Trex "Transcend" Vintage Lantern w/ Trex White railing for courtyard effect. Keystone Gazebo. 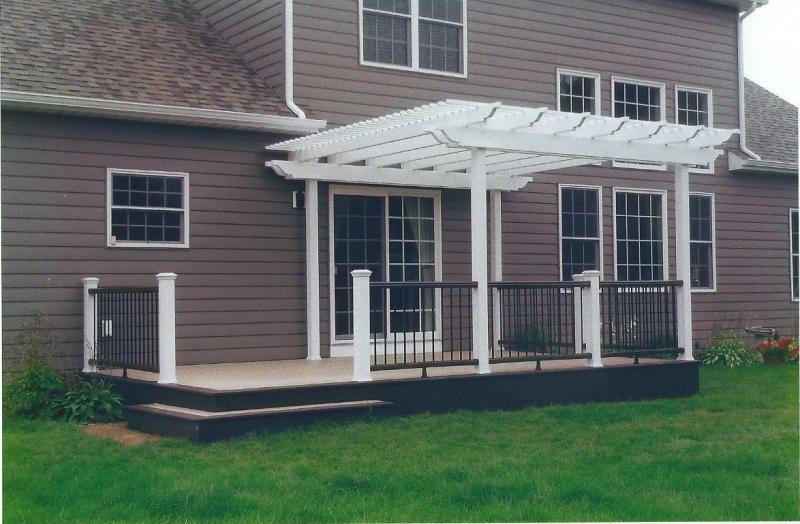 Trex "Transcend" decking & railing - Pergola. Trex "Transcend" Tree House decking & railing w/ Vintage Lantern accent. Post Top & riser lighting. Trex "Tropicals" Spiced Rum decking w/ Vintage Lantern accent. Trex "Tropicals" Lava Rock decking w/ Trex Reveal railing. Deck Rail & riser lighting. 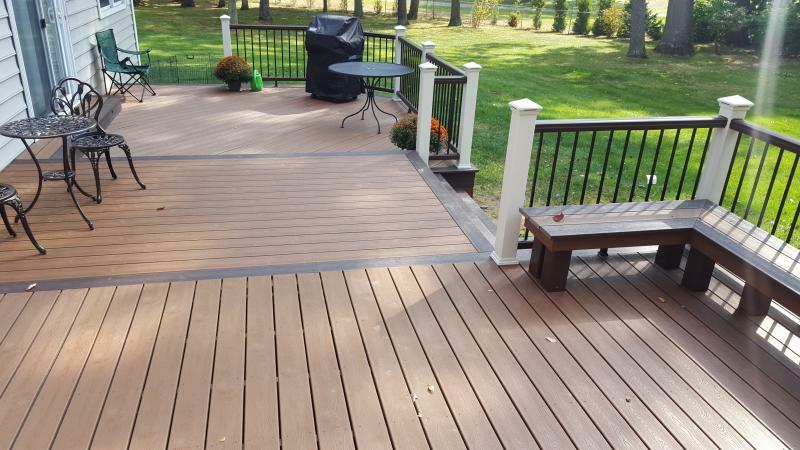 Trex "Tropicals" Havana Gold decking w/ vintage Lantern accent & Trex Reveal railing. Post Top, Deck Rail and riser lighting. This patio deck with "Tiki Torch" decking and "Vintage Lantern" accent includes a wrap around bench with planters and a double corner step. This elegant multi-level hillside deck offers lighting for nighttime family enjoyment. 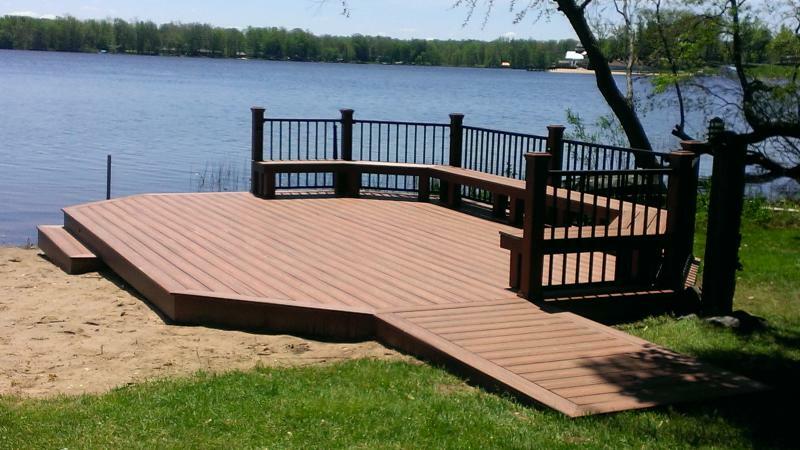 This Trex deck w/ whtie railing overlooks a pool area, and the Kalamazoo River in the Allegan forest. 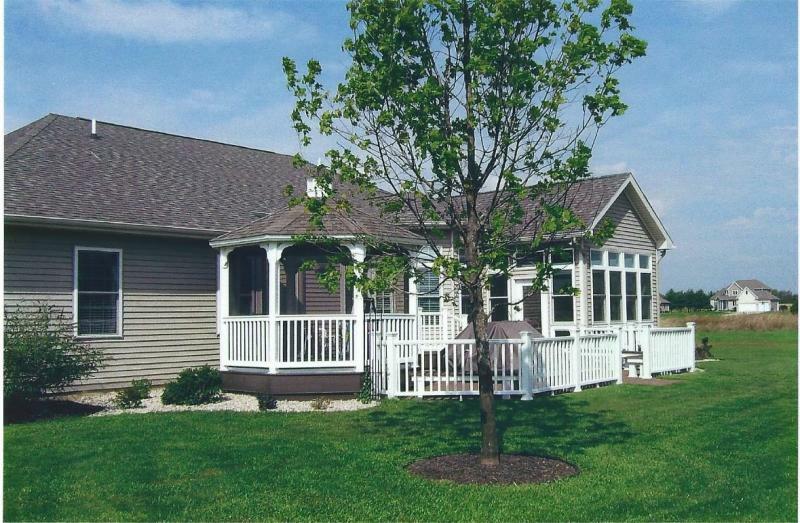 This lakeside Trex deck offers a peaceful seating area with Trees and gardens. This Trex deck and paver patio compliment the angles of the home. 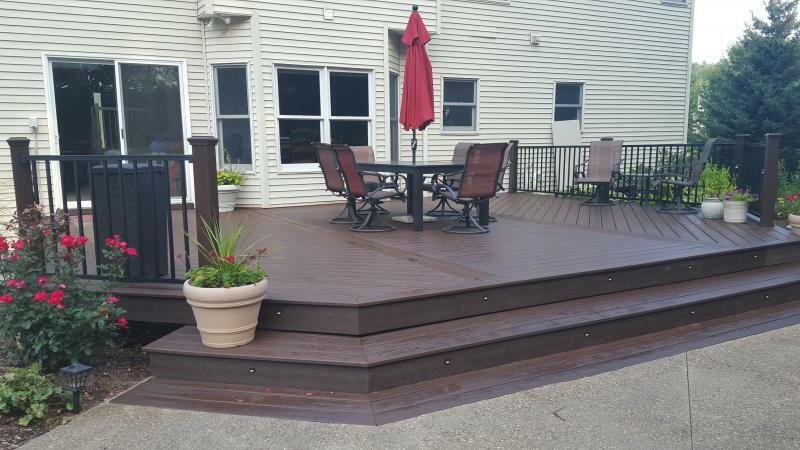 This multi-level Trex deck offers angles to accent the homes angular lines. Waterfall stairs and angles with 2-tone accents wrap around this home. A simple 12ft.x14ft. 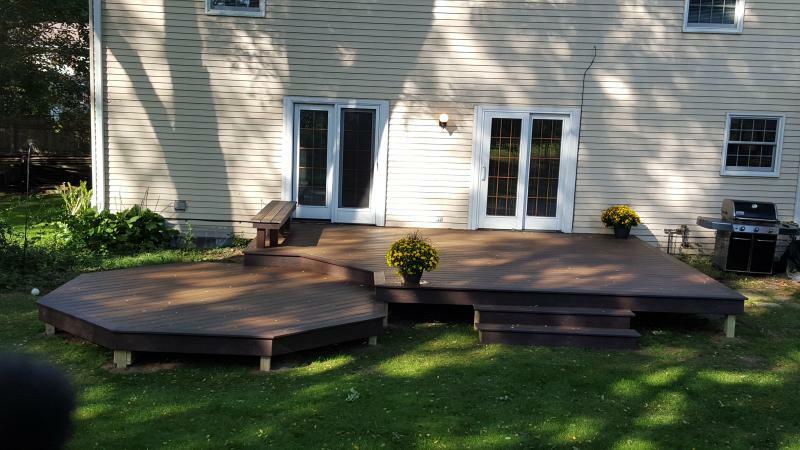 deck w/ partial railing and bench fit this home just right. Accent lighting make this deck glow at night. This elevated, screened, PVC gazebo offers the "Ultimate" outdoor room for this beautiful "Spiced Rum" deck with two-tone accents. 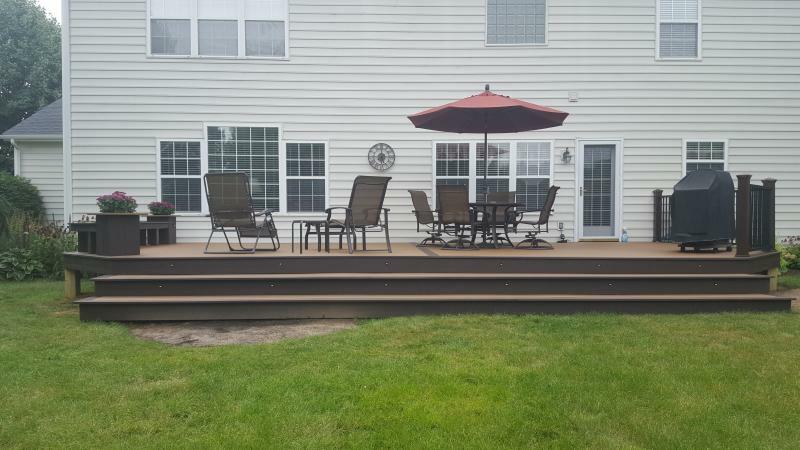 This "remodeled" deck with an addition added twice the space for this growing family.